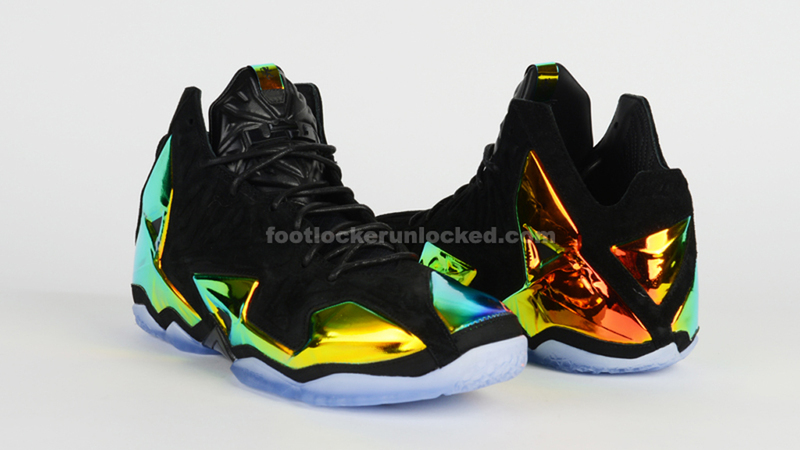 The 'King's Crown' Nike LeBron 11 will also drop at House of Hoops, later this week. 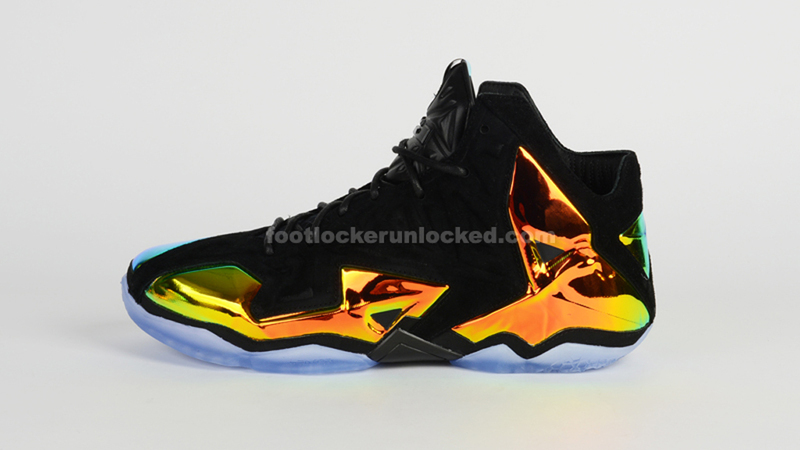 Foot Locker has announced that they too will be carrying this highly anticipated colorway of the LeBron 11 EXT. 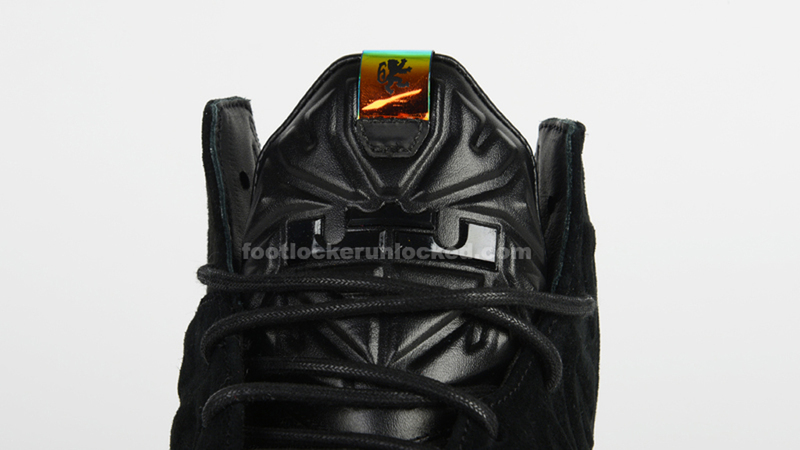 Also being called the 'Crown Jewels,' they feature a black-based suede and iridescent metallic gold Hyperposite upper finished off by a full icy translucent outsole. 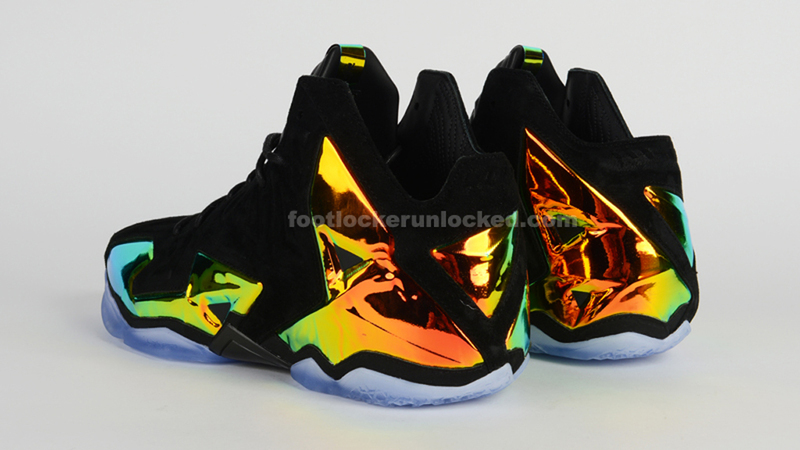 The 'King's Crown' Nike LeBron 11 EXT Suede QS will release at select House of Hoops locations as well as other Nike retailers on Friday, July 4.